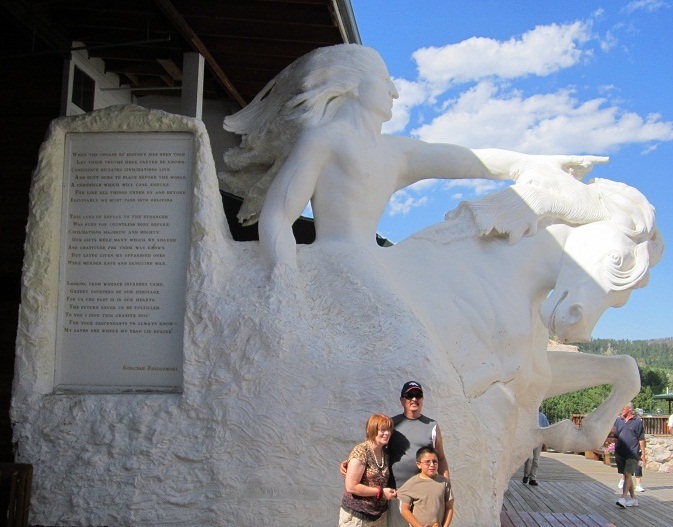 Crazy Horse Memorial is a tribute to the culture, tradition and living heritage of American Indians and the spirit of the legendary Lakota leader, Crazy Horse. Sculptor Korczak Ziolkowski began carving the world’s largest ongoing carving in 1948. Today his family and the Crazy Horse Foundation continue the dream and work on the sculpture that will stand 641 feet long and 563 feet high when completed. Photo: Malik Merchant. © Simerg.com. One of the better investments I made during my recent 4,500 km road trip from Toronto to Vancouver, via the USA, was the purchase of the 2013 edition of Rand McNally’s Road Atlas (RMRA) at an Esso gas station just as I reached the U.S border in Sarnia, Ontario. This and a basic Garmin GPS system purchased a few hours earlier in Toronto became my best companions for the my eighteen-day trip. Who says state of the art and traditional guides won’t mix? The worthy RMRA helped me with my trip from Minneapolis onwards (still a few days away as my first stop would be in Chicago), while the GPS ensured I stayed on a correct course all the time, or each time I felt it had erred – sure enough it had not. A couple I encountered told me that they treated electronic gadgets such as the GPS with some apprehension after they had once been instructed to follow a path that reached a dead-end, with a brick-home staring at their faces. I am convinced, however, that technology more often than not, has to be trusted and is your friend. Beautiful Sylvan Lake holds the designation as Custer Sate Park’s crown jewel. 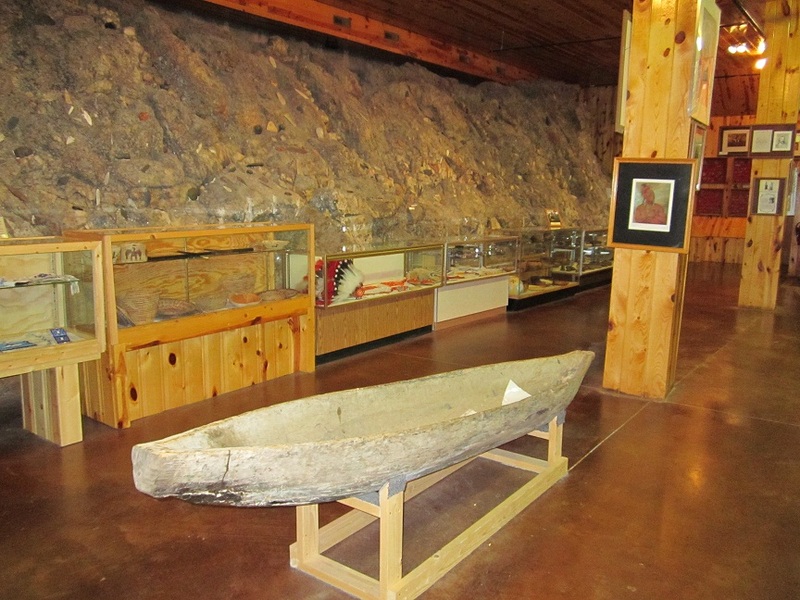 The lake was created in 1881 with the building of a dam across Sunday Gulch. Photo: Malik Merchant. © Simerg.com. In my first post, I provided an overall sketch with a few photos of the first few days of my trip that included sightseeing in Chicago, Minneapolis, Mitchell, Rapid City and Badlands National Park. In Minneapolis, following a Minnesota Twins match-up against the Oakland A’s, I settled into my room and opened the invaluable atlas for the first time. My original plan from the Twin Cities was to head North-West to Glacier National Park, and cross into Canada to visit the sister Waterton National Park. Then, I would spend a few days in Calgary, before driving to Vancouver where my parents eagerly awaited me. Apparently, this 2013 edition of the Atlas, like the previous editions, had brief write-ups about America’s best voted small towns in different categories such as “most patriotic”, “most beautiful” and so on. The readers’ choices in the 2013 edition included Rapid City in South Dakota and Sandpoint in Idaho. I also noted that Badlands National Park was in South Dakota, and not too far off. I love National Parks and saw some good reviews of Badlands on Tripadvisor. I decided to go with the recommendations in the Atlas, but first things first. I consulted with my aging parents. While my mum was worried that I would reach Vancouver later than my original arrival date, I could clearly hear my dad’s voice telling my mum, “Tell him not to rush, let him take his time and ask him not to worry,” although he was the one who was unwell. He had gathered what we were talking about. Should I trust dad? I was apprehensive and could sense some anxiety in my mum, but she acquiesced to my dad’s repeated “not to worry” call-outs! He ultimately came on the phone and had me moving along in the new direction. Consequently, I ended up visiting places that I had never imagined I would visit on this trip, or for a few years at least. I have to salute the builders of the incredible towns and monuments as well as the founders, keepers, trustees, and supporters of USA’s magnificent State and National Parks System. Of course, my gratitude to Rand McNally for its special feature in the Atlas. The book is still intact and in great shape, thanks to the GPS that took care of the exits and the ramps by constantly guiding me, “Turn right on X Street, then take the ramp on the left….then drive 194 miles to Exit 34b.” Thank you! And thanks to the readers for their responses to my first post, especially after WordPress “Freshly Pressed” it. For newbies to my website, please read the first post (later!, after you have seen this one) by clicking Scenes from America by Malik Merchant. I invite everyone to also see the links at the end of this piece describing my visit with my daughter to Yellowstone and Grand Teton National Parks as well as Salt Lake City. The finished work will depict Crazy Horse astride his horse, pointing to his sacred Black Hills. The sculpture will be 563 feet high and 641 feet long. It will be taller than the Washington Monument and almost twice the size of the Statue of Liberty. 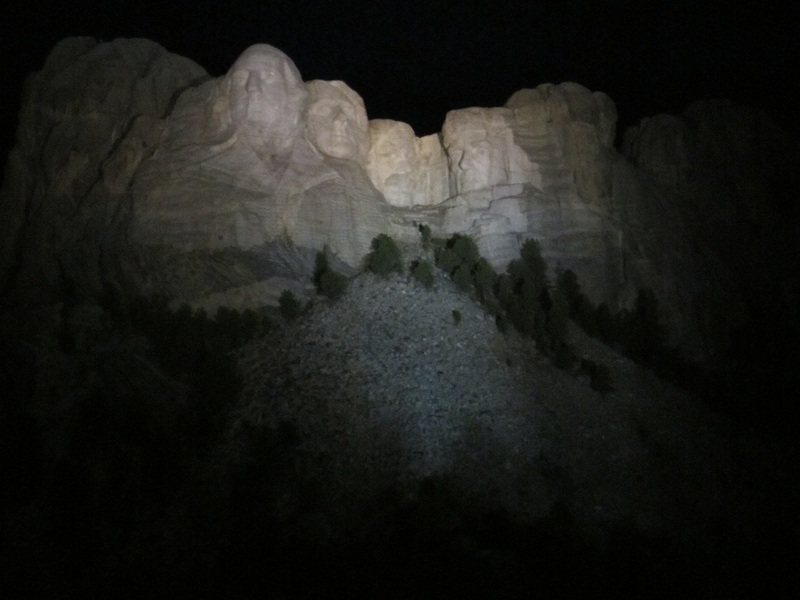 It’s so big that all four presidents from Mount Rushmore – see photos below – could fit inside Crazy Horse’s head. 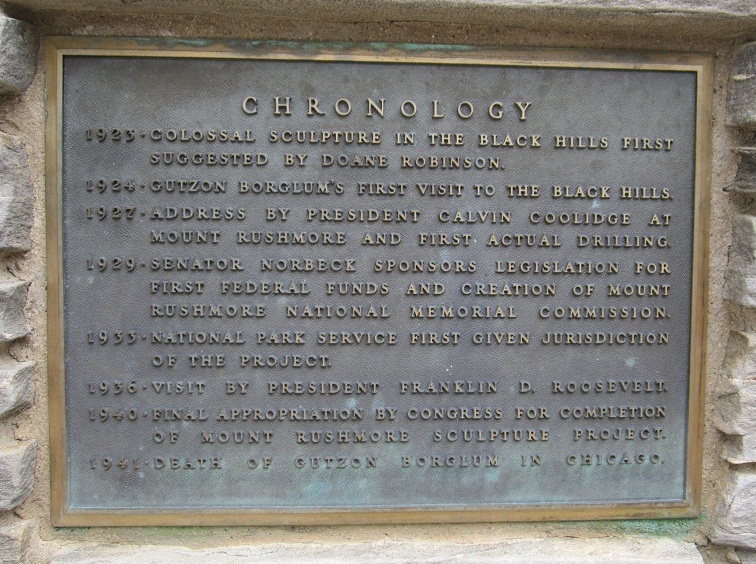 The project began on June 3, 1948. Sculptor Korczak Ziolkowski worked mostly on the face before his death in 1982 at age 74. Family members completed the face. There is no estimate of when the sculpture will be done. Ziolkowski initially thought he could do it in 30 years. 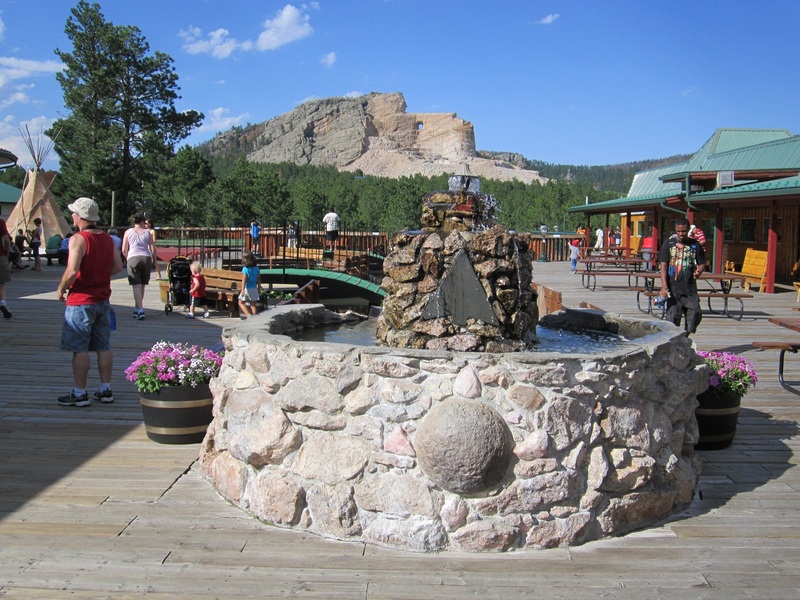 Even as a work in progress, the more than one million visitors to Crazy Horse is a testimony to the growing interest in Native American themes. Crazy Horse has already become a must-see counterpart to Mount Rushmore National Memorial, fifteen miles away. Look and smile upon us your children, so that we may live this day to serve you. Watch over my relatives, the red, black, white and brown. Sweeten my heart and fill me with light this day. Give me strength to understand and the eyes to see. 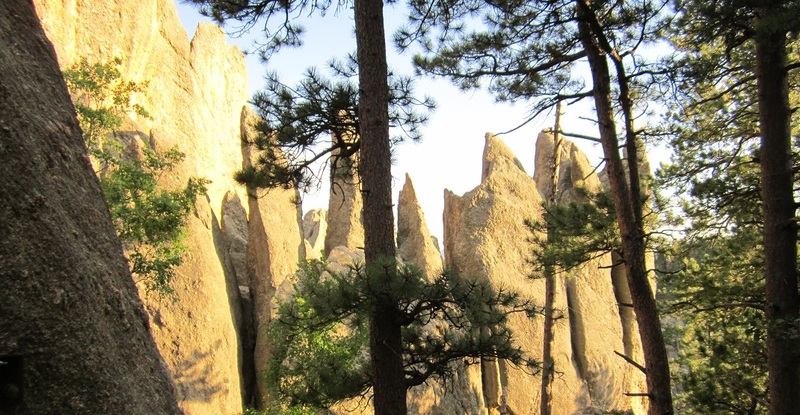 A maze of spectacular granite formations, reminiscent of needles and cathedral spires, was the highlight of this fascinating drive through a forest also cloaked in ponderosa pine, birch, bur oak, Black Hills spruce and several willows. The Needles Highway began attracting public attention when it was completed in 1922. Like past years, visitors continue to drive the narrow roadway to revel at its natural beauty and admire its engineering feat. 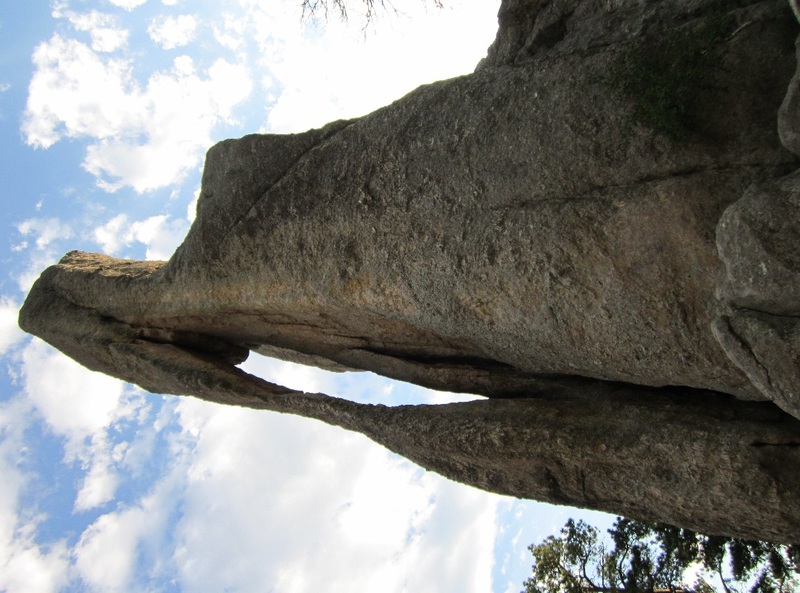 The Needles and Cathedral Spires in Custer State Park offer some of the best climbing routes in the country. Rock climbers travel from around the world to challenge the nearby formations. A stunning view of the Sylvan Lake, which holds the designation as Custer Sate Park’s Crown Jewel. Photo: Malik Merchant. © Simerg.com. 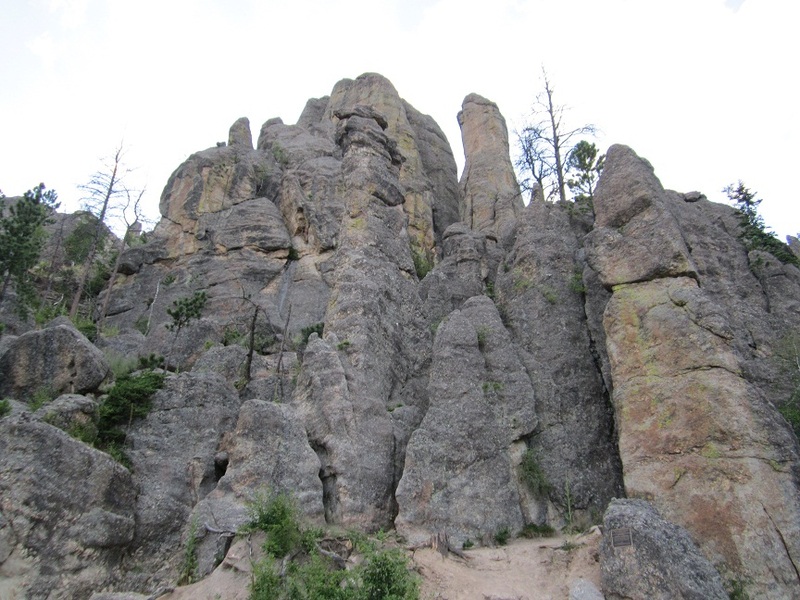 The Needle Spires, shown above, and the Cathedral Spires, below, in Custer State Park offer some of the best climbing routes in the country. Rock climbers travel from around the world to challenge the nearby formations. “On many occasions, when a new project is presented to you on paper and then, later on, when you see the accomplishment, you are disappointed, but it is just the opposite of that in what we are looking at now. I had seen the photographs. 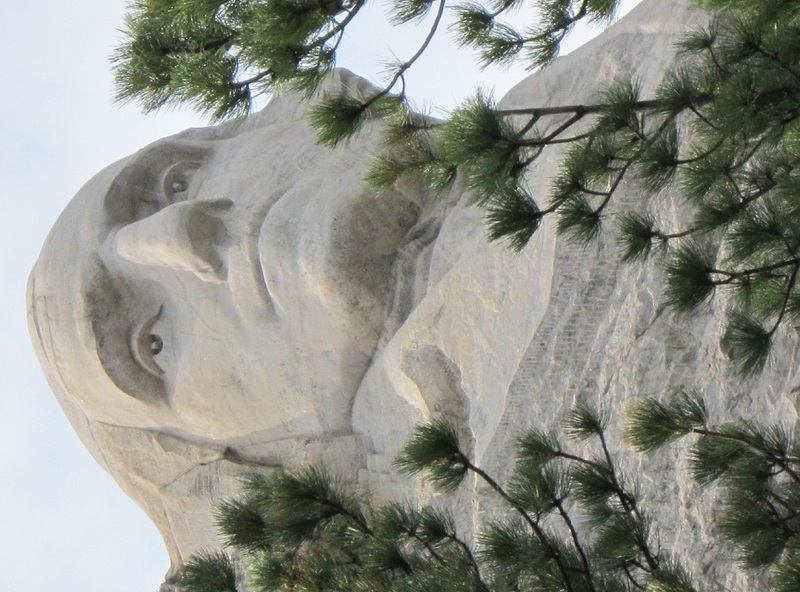 I had seen the drawings and I had talked to those who are responsible for this great work, and yet I had no conception until about ten minutes ago not only of its magnitude but of its permanent beauty and its permanent importance.” – President Franklin Roosevelt upon first seeing Mount Rushmore, August 30, 1936. 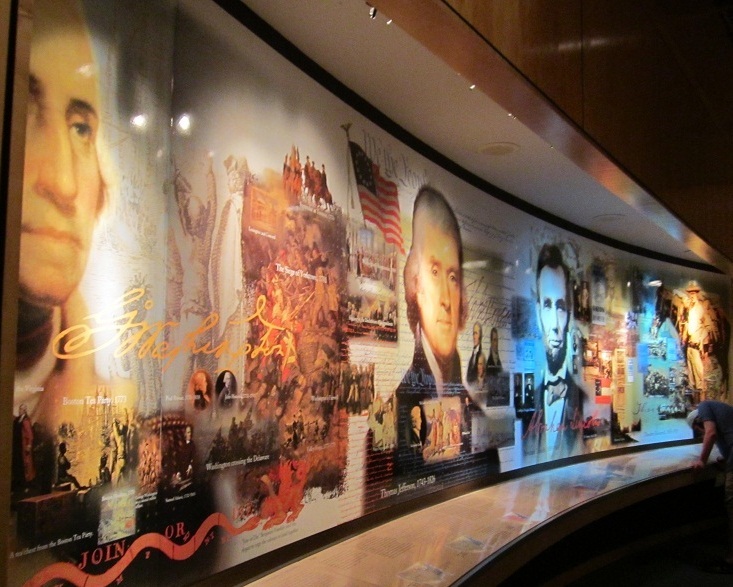 A plaque commemorating the workers who with workers created the historic masterpiece of the faces of four American Presidents between October 4, 1927, and October 31, 1941. 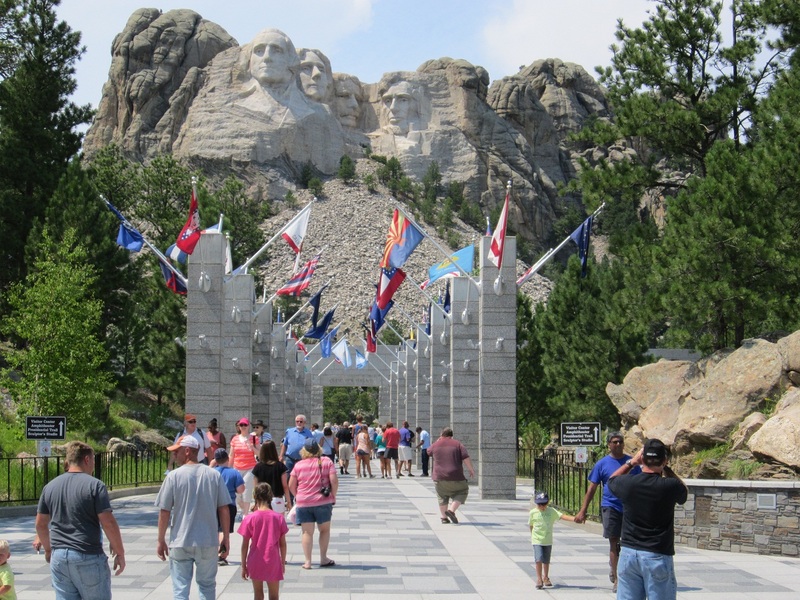 Today Mount Rushmore hosts more than three million visitors each year from across the USA and around the world. Photo: Malik Merchant. © Simerg.com. Date posted: September 4, 2012. Quote of Paul War cloud (1930 – 1973) posted in the Indian Museum at the Crazy Horse Memorial. Read complete article in the May 2006 issue of Smithsonian Magazine, available on-line at Mt. Rushmore by Tony Perrottet. For a complete list as well as links to all the articles posted on this blog since March 2009, please click WHAT’S NEW. Very well shared. Thank you. Wow! Thank you very much for a very detailed article and wonderful photographs. Thank you for sharing..yes..absolutely amazing photos! I love stuff like this! God bless you!